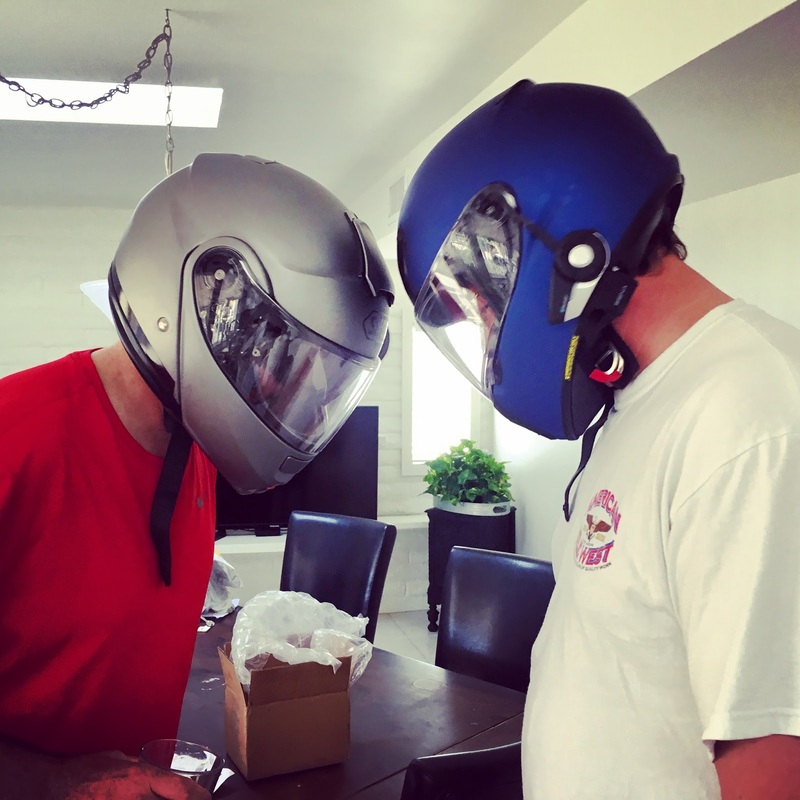 These two went riding today but yesterday were playing around with their helmets, setting them up so they could talk to each other while on the trip. And yes, they were walking around the house with them on. Talking to each other from different rooms. Like total dorks. But, Houston did not have any problems. Lines of communication were open and ready for takeoff. Boys will definitely be boys. Looks like Daft Punk is taking over your kitchen. Hope you are all having a wonderful time. Will you be together for July 4th?